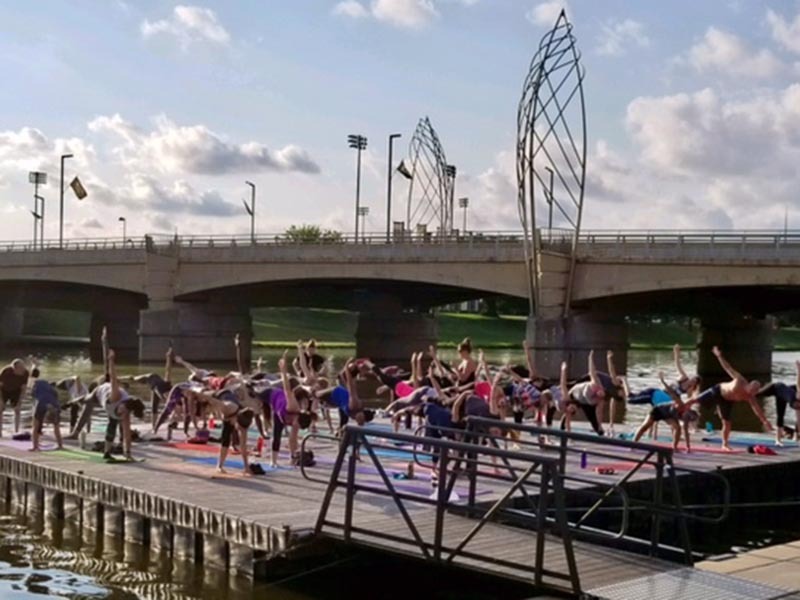 First class is free and $10 off an regularly priced yoga package. 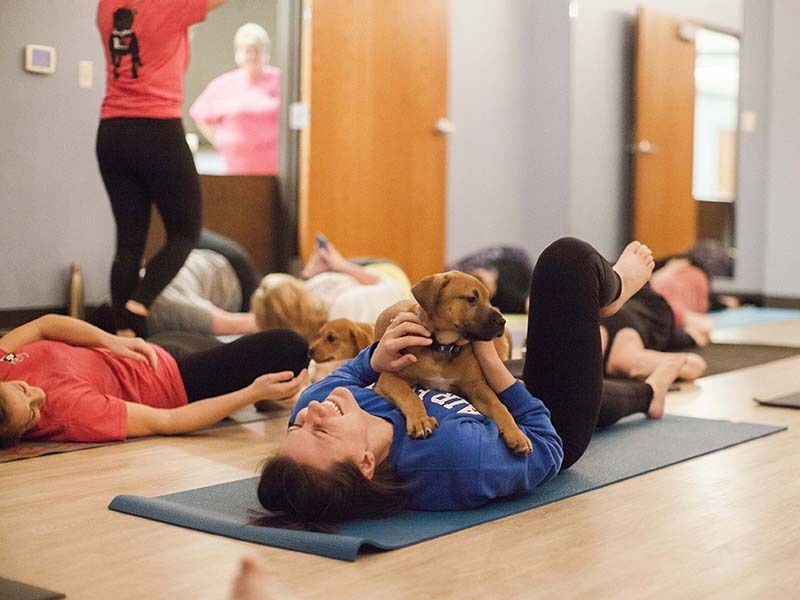 “After falling in love with yoga and letting it change me in so many ways for the better, I knew I wanted to help others see the good it could do in their own lives. I completed my teacher training through YogaWorks, became a registered yoga teacher with Yoga Alliance and have been honored to teach ever since.I believe that yoga is being able to get your body and mind working as one towards a goal that will both challenge you and change you. It is accepting where you are, striving to be better than you are, and knowing it is an ongoing journey you will never finish. This is how I came up with the name Limitless Yoga. It reminds me that no matter how advanced you may become, there is always something more to strive towards. “ Kelsea Wright- owner! Limitless Yoga Studio is all about taking you from where you are and helping you to create a better version of you. Come join us for a class at the studio or at one of our many event locations, we offer something for everyone! Studio 1 is our large warmed studio space. 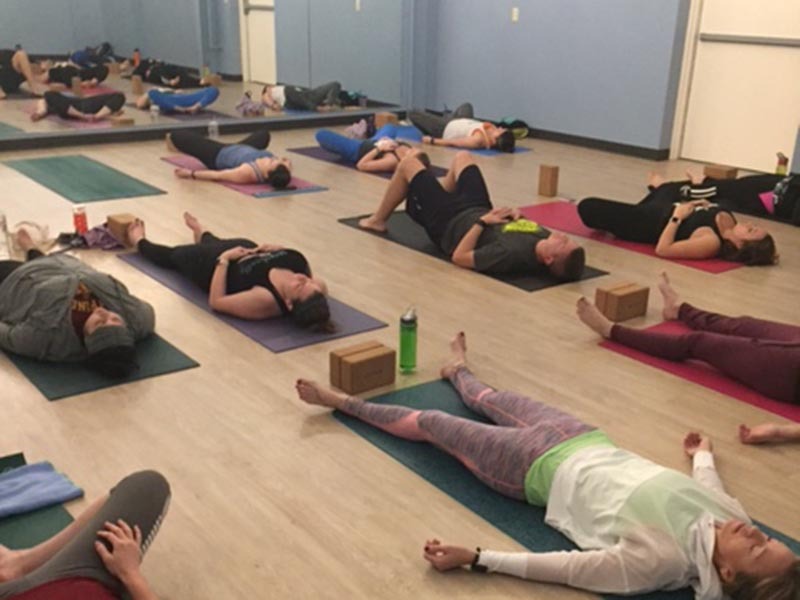 The temperature is kept between 85 and 90 degrees to help warm up the muscles and encourage a deeper stretch, while still keeping everyone safe. This beautiful space was once a warehouse and still boasts 13 foot high ceilings. Studio 2 is a smaller unheated space and holds classes such as Gentle Yoga, Kid’s Yoga, Restorative Yoga, Teacher Training and workshops. 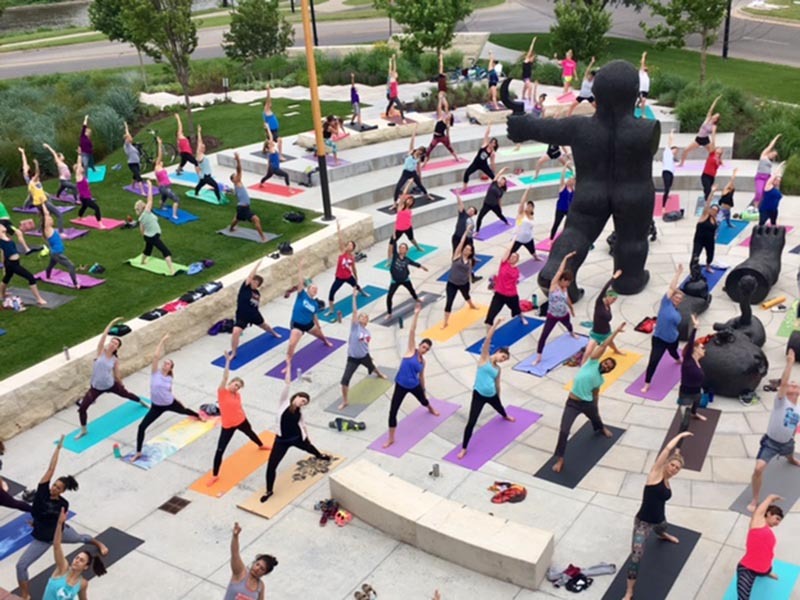 5:30 a.m. – 8:00 p.m.
Visit our website at http://www.limitlessyogakansas.com for more information.